Labral Tear Treatment in the Shoulder - Jeffrey H. Berg, M.D. Labral tear treatment isn’t necessarily difficult to institute if the diagnosis is known. 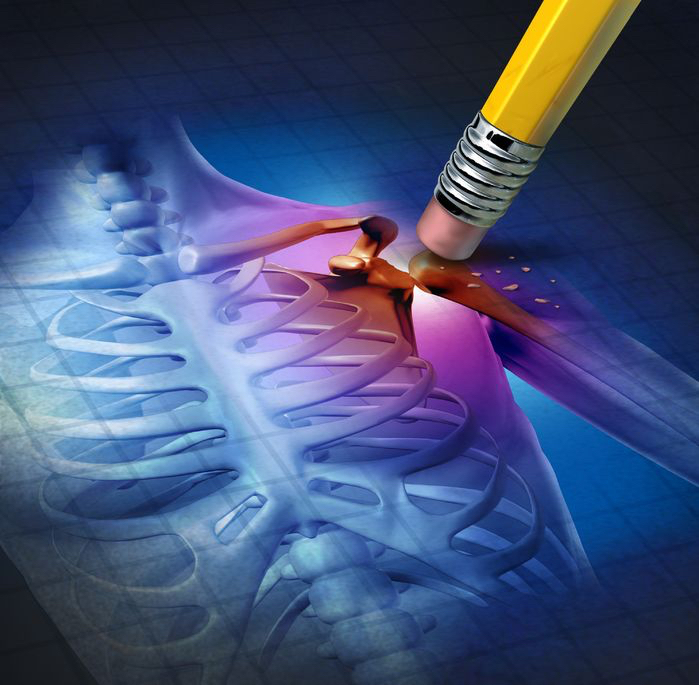 The hard part is diagnosing a labral tear and determining if it is the cause of your symptoms. First let’s clear up one common misconception: MRIs are not always the sole answer. This holds true for MRI arthrograms and any other imaging studies as well. Although occasionally helpful in conjunction with all the other information that we can gather, these studies alone are not often enough to determine what labral tear treatment is necessary, First these studies, like all imaging studies, are open to interpretation and therefore are not only limited by their technology, but also by the person reading it. As a result, these tests can often miss tears that exist and also inaccurately “diagnose” tears that don’t. Furthermore, they cannot determine if any treatment is needed.. Finally, an MRI alone can rarely determine the correct type of treatment….Only your shoulder specialist with their clinical knowledge and experience can. If not by MRI, how is a symptomatic labral tear diagnosed? Much of the answer comes from the history that you provide. Your age and the cause of your problem are perhaps the most useful information that you can give. It sounds very simple, but just knowing your age is very helpful. In older patients, degenerative, non symptomatic labral tears are more common. These only rarely need treatment. In younger patients, any tears are abnormal and therefore likely to be symptomatic and require treatment. Similarly, there are some disorders in which a labral tear is clearly the cause of the symptoms and others in which it is much less clear. Knowing the cause of the tear often enables us to differentiate between these. For instance, if you sustain an instability event (dislocation or subluxation), a labral tear will almost always occur at the time of the injury. In the younger, active patient, these tears very often lead to recurrent or persistent symptoms and therefore require treatment. On the other hand, labral tears that are not associated with trauma may or may not lead to symptoms. Determining whether tears in this group are symptomatic is where the challenge exists and where your doctor’s experience and skill is most needed. Additionally, a well-performed physical examination and shoulder X-rays are very helpful in eliminating other potential sources of your symptoms. Finally, monitoring your response to nonoperative labral tear treatment is possibly one of the most important methods of diagnosing whether a labral tear is present and symptomatic. It also has the additional potential benefit of treating those labral tears that do not require surgery. As mentioned, nonsurgical labral tear treatment is used not only to differentiate between symptomatic and asymptomatic labral tears but also to treat shoulder symptoms that arise from other existing problems that are not causing symptoms. Typically this treatment consists of relative rest (avoiding those activities that produce or worsen the symptoms), anti-inflammatory medications (when medically safe), an occasional steroid injection and physical therapy. I will often initially try this labral tear treatment for at least 6 weeks. If there is a favorable response, I will often continue until symptoms resolve or plateau. If not, then surgery may need to be considered. Most symptomatic labral tears will require surgery to rid the symptoms. Depending on the type and location of the labral tear, different procedures may be needed. The most common procedures are: labral debridement and labral repair. Labral debridement involves removing the torn pieces of the labrum. Labral repair involves fixing the tear, usually by suturing the labrum to the adjacent edge of the glenoid. These both can be performed arthroscopically which reduces the surgical trauma, post-operative pain and makes recovery easier. When performed for the correct reasons, these procedures are often very successful. Look for an upcoming post in which I will discuss surgical labral tear treatment in detail.